We know from experience that delivery arrangements are hugely important to our customers. That is why we are as flexible as possible to provide a delivery service designed to give you complete peace-of-mind. On this page you will find answers to all of the most commonly asked questions relating to our delivery process. If there is anything else you need to know please give us a shout and we will be happy to help you! We now allow you to select your own delivery date, so you can arrange for your order to arrive on a day that works best for you. Once you have selected your preferred delivery option, a calendar will appear where you can then choose your delivery date. 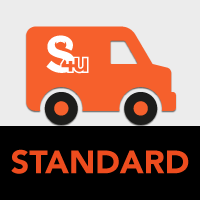 Standard: This is our most popular service, and will allow you to receive delivery 5 working days after the date the order is placed. Deliveries are made between 8am and 6pm Monday-Friday. 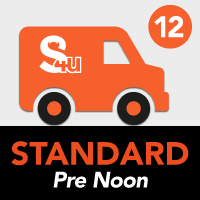 Standard Pre Noon: This is the same as our standard service, but with a smaller delivery window- between 8am and 12 noon. Perfect if you aren’t available or don’t want to wait in for a delivery all day! Express: This is our fastest service for people who are pressed for time. 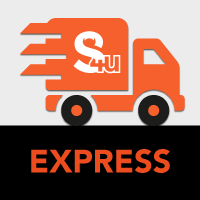 Choose Express delivery at the checkout and we will deliver your order 2 working days after it is placed. Please note that orders must be placed before 3pm to enable us to machine everything in time for delivery on the second working day. 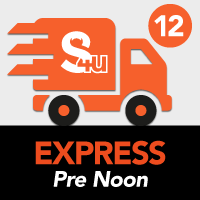 Express Pre Noon: This is the same as our Express service, but the delivery will take place between 8am and 12 noon, so you don’t have to wait all day for a delivery. 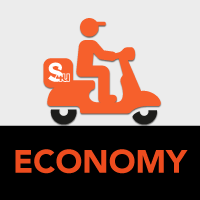 Economy: This delivery option will mean your goods will not arrive until 10 working days from the day you place the order. This option is here for those who are not in a particular hurry and want to keep their costs as low as possible. Saturday: Not available during the week? Choose this option and your order will be delivered on a Saturday morning of your choosing. Please be aware that orders must be placed by Wednesday if you require delivery on the Saturday of the same week. Collect: If you are in the area and would prefer to collect your order that is fine. Our warehouse is Unit 10 Merchants Way, Aldridge, WS9 8SW. Collections can be made 3 working days from the order date. Please contact us if you would like to collect sooner than this lead time allows. Will I know what time my order will be delivered? We will send you an email once your goods have been dispatched. This will include any tracking information associated with your order so that you can easily stay up to date with the progress of your delivery. Unfortunately, we are unable to specify an exact delivery time- deliveries take place from 8am-6pm. Having said this, our delivery partner will usually get to you before 2.30pm. If your order has not reached you by this time on the specified date, we will be able to contact the delivery driver directly to get you an estimated delivery time and let you know. Please be aware that for insurance reasons our carrier partners do not take deliveries inside the property. 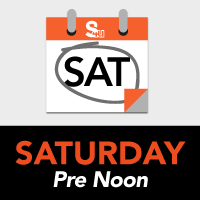 UPDATE: We are now able to offer a pre-9.30am or pre-10.30am delivery slot for a small surcharge. If you would like this service please give us a call and we will arrange it for you. What happens if I am out when the items are delivered? There are a couple of options available if you know you are not going to be around, or if you have to leave the delivery address for a period of time on the delivery date. If there is a safe place on the property for the goods to be left we can arrange for the driver to leave them for you. The goods will be securely wrapped to protect them from any damage or poor weather conditions. If there is nowhere on the property suitable for the goods to be left, we can also make arrangements for the goods to be left with a neighbour if this is a possibility. Again, let us know if this is something you would like to happen and we will make the necessary arrangements with the driver. Please note that we deliver to UK Mainland only. We cannot deliver to Scottish Islands, Northern Island, Highlands, Channel Islands, Isle of Man or Isle of Scilly. If you require any additional information regarding deliveries, please contact our customer service department via the live chat facility or by phone/email and they will be happy to help.